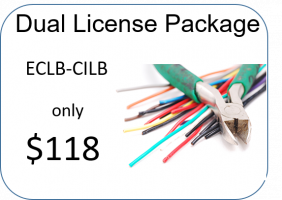 Upon purchasing this package, the student should login and complete their classes as a Florida Electrical Contractor. After completion of all classes the student should call or email our office with their CILB license number and we will manually apply class credit to that board also. Note: Class credit will be manually submitted to one CILB license and one ECLB license for a total of two licenses only.